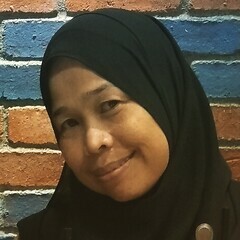 Samsonite (Malaysia) Sdn. Bhd., the world's largest and most recognised designers and distributors in the luggage industry is collaborating with Make-A-Wish Malaysia to create life-changing wishes come true for children with critical illnesses through its “Luggage Trade-In Programme” happening from 15 March onwards. Under this programme, customers may trade-in their used luggage at participating Samsonite stores and receive up to 40% off their purchase of selected Samsonite luggage. 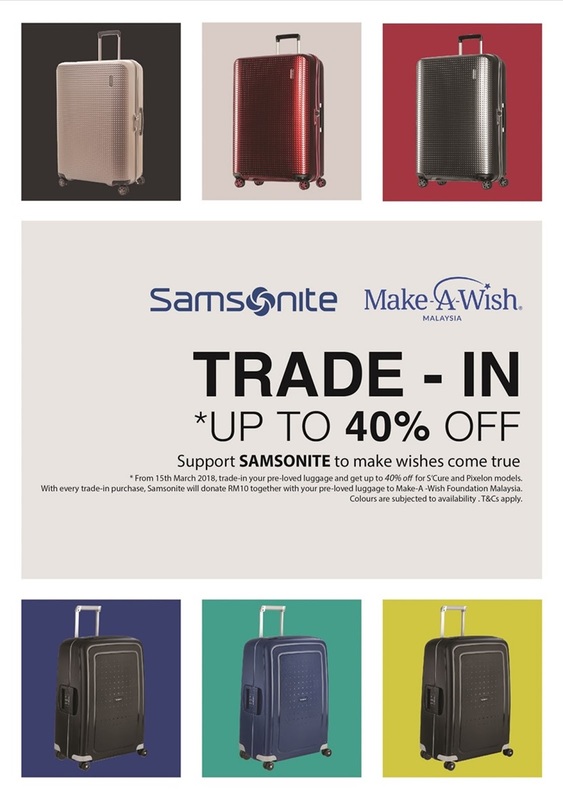 For every luggage that is traded in, Samsonite will pledge RM10 to Make-A-Wish Malaysia. On top of that, the preloved luggage bags received will be assessed and those which are still in good condition will be donated to Make-A-Wish Malaysia to be used or distributed at their discretion. said Ambert Khoo, Country Head of Samsonite (Malaysia) Sdn. Bhd. “We are honoured to be collaborating with Samsonite (Malaysia) Sdn. Bhd for this wonderful campaign. As a self-supported non-government organisation, we rely solely on fundraising and donations from corporations and individuals to enable us to continue our mission of granting the wishes of children who are suffering from critical illnesses. Up to 2018, we have granted over 423 wishes to children in Malaysia and we hope that through this programme, we are able to grant more wishes.” said Irene Tan, Chief Executive Officer of Make-A-Wish Malaysia. Make-A-Wish Malaysia is a self-supported non-government organisation that strongly believes in the Power of a Wish as a wish awakens the imagination, builds excitement and encourages the child to dream, providing laughter and fun. When the wish of a critically-ill child is granted this will give them a sense of hope and inspire confidence in them, enabling the child and family to better cope with fear and pain associated with their fight. Samsonite is one of the world’s largest and trusted designer and distributors in the luggage industry. Samsonite was first established in 1910 by Jesse Shwayder with the vision of crafting the finest quality luggage that would be able to endure the perils of travel. Though a century has passed, Samsonite remains steadfast on its core principle, to further expand Shwayder’s vision universally to meet every traveller’s need with durable and finely crafted products through innovative technologies, materials and design. The Luggage Trade-In Programme will run from 15 March till 30 April 2018. A list of participating stores are available in Appendix 1. Bagus program macam ni kak. Siapa ada nk trade in travel beg boleh lah join ni. Cantik betul design beg tu..